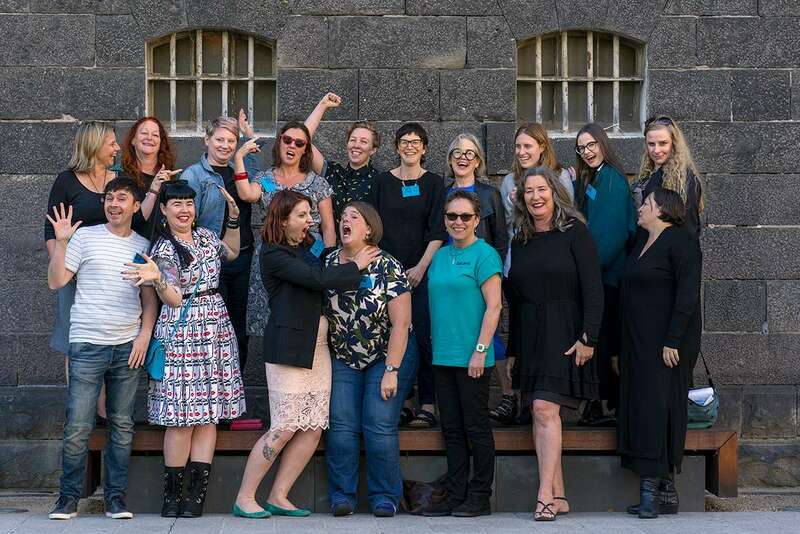 The Wentworth is the New Prisoner Conference was held on April 5th and 6th at RMIT University in Melbourne, Australia. 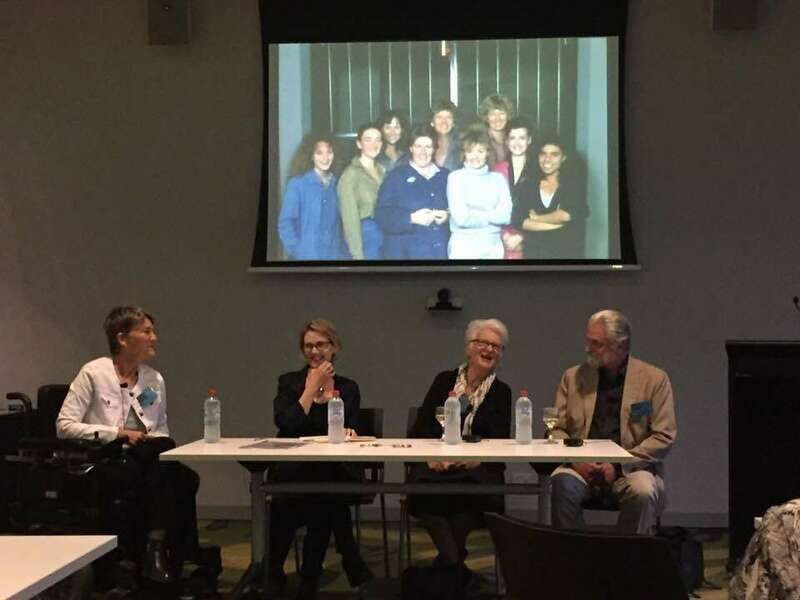 Scholars came from across Australia and the world to discuss their scholarly (and not so scholarly) fascination with the classic Australian television soap Prisoner (1979-1986) and its contemporary counterpart Wentworth (2013-present). Over two days, Prisoner and Wentworth were lovingly dissected and critiqued from many angles and perspectives. Conference organisers, Craig Batty (RMIT University), Tessa Dwyer (Monash University), Radha O’Meara (University of Melbourne), and Stayci Taylor (RMIT University), put together a dynamic, engaging, and provocative conference, that included industry panels, two keynotes, themed trivia, screenings (courtesy of the National Film and Sound Archive), and more prison puns than I ever thought possible. As outlined by Alexander Gionfriddo, Catherine Gillam, and Olympia Baron from the AFI Collection in their paper “Timeline of ‘Doing Time,’” prison has long been a popular setting for television series. In both the Australian and global markets women-centric prison series are far more common than male-centric series. The prison setting offers a way into questions that are at the heart of recent television studies. The keynotes, papers, and panels of Wentworth is the New Prisoner, used these series as canvas upon which to ask: Where is the “national” in the age of global television? What can fandoms tell us about the way that television texts are taken up, used, and circulated? 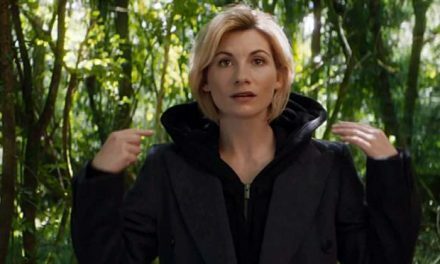 What is the place of feminism and queerness on television (today and in the past)? How do feminist and queer politics manifest aesthetically, narratively, and through character? 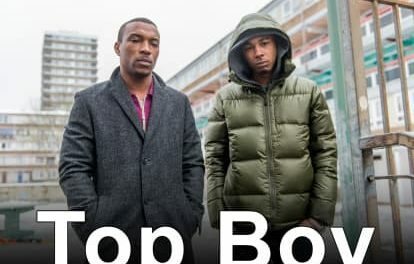 Why are reboots and remakes a consistent feature of the global television landscape? What frameworks are useful and necessary for understanding and locating the “remake”? The conference highlights included the keynote addresses that kicked off both days. Fittingly, the conference opened with Kim Akass’ (University of Hertfordshire) keynote, which grappled with why Wentworth has largely remained a ‘hidden gem.’ Akass proposed that Wentworth’s foregrounding of motherhood and femaleness may be one of the reasons it has gone ‘under the radar’ in an Anglophone television landscape dominated by US-centric content. In contrast to US series that often idealise motherhood and maternity (see US Prisoner remake Dangerous Women [1991-1992]), Wentworth, in Akass’ assessment, does not punish the women, but rather it places the blame squarely on the fathers who failed to look after their daughters. According to Akass’ keynote, the characters of Wentworth are depicted through a distinctly female gaze. In the second (and equally excellent) keynote of the conference, delivered by Professor Sue Turnbull (University of Wollongong), we returned again to the concept of ‘the gaze.’ In her keynote, Turnbull provided a personal and provocative outline of the complex relationship between feminism and television. Drawing a connection between the recent Hollywood-centric #MeToo movement and the seminal feminist film theory of Laura Mulvey, Turnbull proposed that the #MeToo movement echoes Mulvey’s theory by emphasising those creating “the gaze.” Turnbull suggested that one of the reasons for the ongoing resonance of Prisoner and Wentworth is that they both offer a wide repertoire of options for performing femininity. Both keynotes grappled with the logics of television, to borrow Patricia Mellencamp’s phrase. 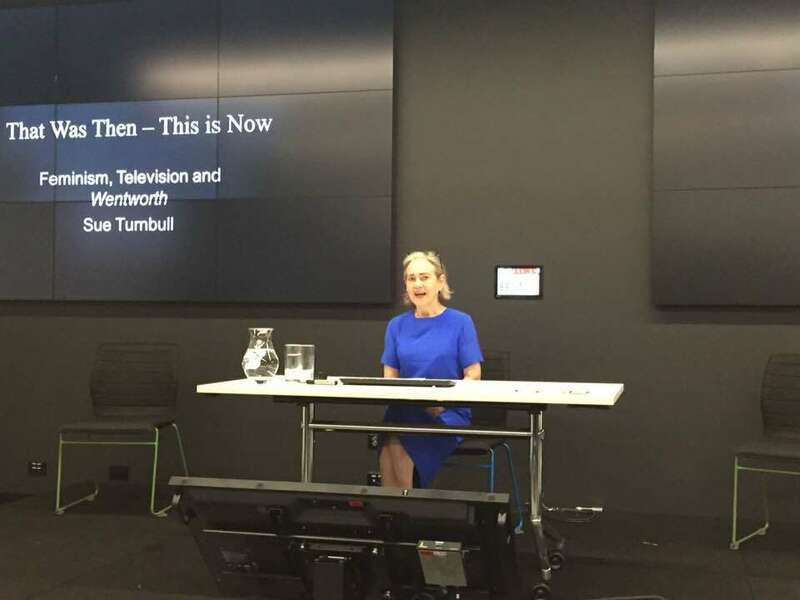 In doing so, Akass and Turnbull challenged each of us to see Prisoner and Wentworth as part of a larger discussion about women and television. While an extraordinary amount of scholarly ground was covered during the two-day conference, upon reflection some themes and tendencies emerged. A number of papers explored how Prisoner and Wentworth grappled with queerness, queer identity, and queer tropes. Whitney Monaghan (Monash University) gave an exciting paper on how Wentworth performs “queer time” by enacting alternative queer temporalities. Jessica Ive (University of Wollongong) provoked an animated discussion with her paper on Wentworth’s employment of the controversial “bury your gays trope.” Tessa Dwyer (Monash University) and Alexa Scarlata (University of Melbourne) each considered how Prisoner and Wentworth circulate and are understood within a global market. Dwyer’s paper explored how “voice” marked Prisoner as distinctly Australian in an era when most Australian television exports were dubbed. Taking a more industrial tack, Scarlata asked how has Netflix changed Wentworth? At the end of this paper, we were left to contemplate whether Netflix’s distribution of Wentworth actually “changed the show” as many fans feared, or whether it was just the perception of the series that has been altered. As Australians we rarely appreciate our own cultural products until they are legitimised by a global (read: US) audience. Continuing the global focus, several papers explored series that have been inspired by Prisoner and the many spin-offs, reboots, and remakes of the series, including the short-running US series Dangerous Women, the long-running German series Hinter Gittern – Der Frauenknast (1997-2007), and the more recent Dutch series Celblok H (2014-2017). In her paper, Kirsten Stevens (Monash University) unpacked how framing remakes in terms of “originality” is increasingly problematic, as today all media texts contain multiplicities. Miguel Gonzalez (National Film and Sound Archive) examined HBO’s Spanish-language series Capadocia (2008-2012), which although not officially part of the Prisoner/Wentworth franchise, it is, as Gonzalez noted, part of an ongoing global fascination with women’s prison dramas. Craig Haslop (University of Liverpool) used the prism of “cult TV” to consider how Wentworth commodifies and incorporates Prisoner’s cult status into its marketing and diegesis. 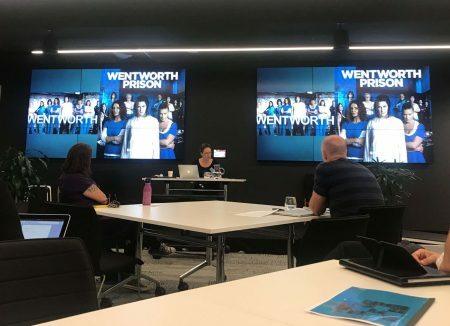 The academic papers delivered at the conference were complemented by two industry panels that brought together on-screen and off-screen talent from both Prisoner and Wentworth. A common thread that emerged in discussions over tea and coffee was the general bewilderment (from those outside the conference) that an “entire two days” could be dedicated to Prisoner and Wentworth. Yet what the Wentworth is the New Prisoner Conference proved is, not only are these series fertile spaces for a wide range of discussions pertinent to contemporary television studies, but also the value of an intimate highly-focused conference is unparalleled. Discussions continued into the breaks, collaborations were proposed, and everyone (to my knowledge) went back to their respective homes with a sense of excitement about the future of television studies in Australia. Dr Jessica Ford is an early career researcher at the University of Newcastle, Australia. Jessica is a co-founder of the Sydney Screen Studies Network – a community of screen studies scholars and researchers, and a Contributing Editor of MAI: Journal of Feminism and Visual Culture. She has published on various female-centric US television series, including Buffy the Vampire Slayer, Bunheads, and Girls. Jessica’s research examines women and feminism on screen. NextCfP: conference “Illustration and Adaptation” Oct 10-11, 2019 @ University of Burgundy, Dijon (FR). Deadline: March 01, 2019.